Earlier this year Ellen MacArthur travelled to Vancouver to present at TED2015. In her 17 minute talk she shares the most important lesson that she learned while sailing solo around the world. It’s a great watch to end your day on a high! The Ellen MacArthur Foundation website is the number one source for all circular economy knowledge and insights. Be sure to check out the Foundation’s reports and publications. Circulate is an online news publication edited by the Foundation. Updated daily, it is a great source of stories and links related to the transition to a circular economy. Every year the Foundation hosts an open-source online event, the Disruptive Innovation Festival. This 3-week event (taking place Nov 2 – 20 2015) brings together thought-leaders, entrepreneurs, designers, businesses, learners and doers to catalyse the system change necessary to shift to the future economy. You can get involved either by participating either as a viewer or by contributing your own ideas! Have you seen any examples of a circular economy in action? Share in the comments below! Last week Friday was the final day of the second annual Schmidt-MacArthur Summer School and the occasion was marked with an afternoon exploring Oxford, punting down the river (unbelievably nobody fell in!) and enjoying a sumptuous farewell/awards dinner. After an intensive week of lectures, interactive workshops and heated discussions, all centred around the circular economy, the relaxation was hard-earned by all. 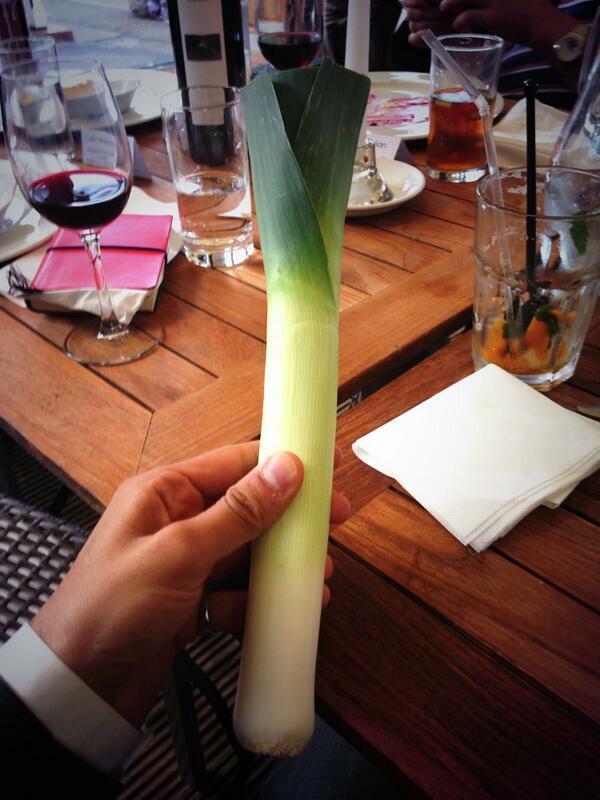 The prestigious “Leeky Flows” award received by Kevin Shahbazi for losing his mentor during the week. 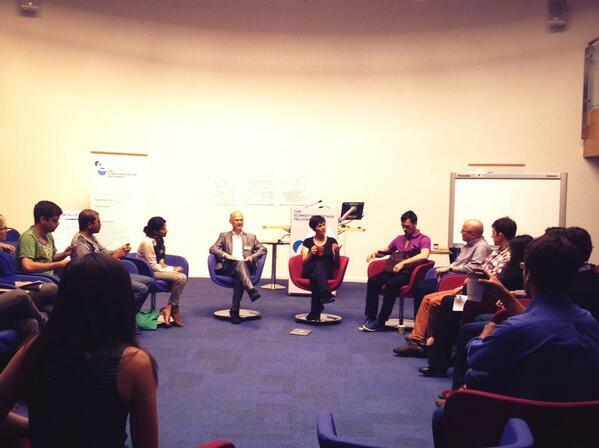 The week-long Summer School, held this year at Cranfield University, is an opportunity for the Schmidt-MacArthur Fellows and Mentors from all over the world to come together to share their thoughts and understanding of the circular economy. Through the intensive programme of lectures, workshops and activities it is also a chance to develop a deeper understanding of the principles and practicalities of transitioning to a circular economy. The week began with a “get to know you” session and escalated rapidly from there with the setting of the Summer School Challenge. Fellows were tasked with applying their learning to the question: “How can a city like Detroit evolve positive or regenerative cycles of development?” and were to present their solutions at the end of the week. A full run down of the week’s activities can be found here. The Summer School experience was possibly the closest I have (and hopefully will ever) come to being caught in a whirlwind. I was swept up on Sunday evening, when I met some of the other Fellows for the first time, into the world of the circular economy and only came back down to earth on Friday afternoon in Oxford. I’m not even sure I have fully recovered yet! After five days of listening to and interacting with business leaders, thought leaders, designers, academics, subject experts and incredibly bright students I feel overwhelmingly that the momentum of the circular economy is building at a rapid pace. I am very excited to be a part of that momentum. Fellows getting the chance to pose questions to Ellen MacArthur. One of the highlights of the week was attending the CE100 Summit held at the Royal Institution in London. The annual gathering of companies that make up the CE100 as well as a selection of academic and business leaders, the summit was nothing short of inspiring. Hearing businesses present their successes in the circular economy, often achieved in the short year since the inaugural summit, demonstrated that the circular economy is not simply a dream, but can be made into reality. If the buzz on Twitter is anything to go by, then simply the engagement and debate provoked by the summit speak to its success. 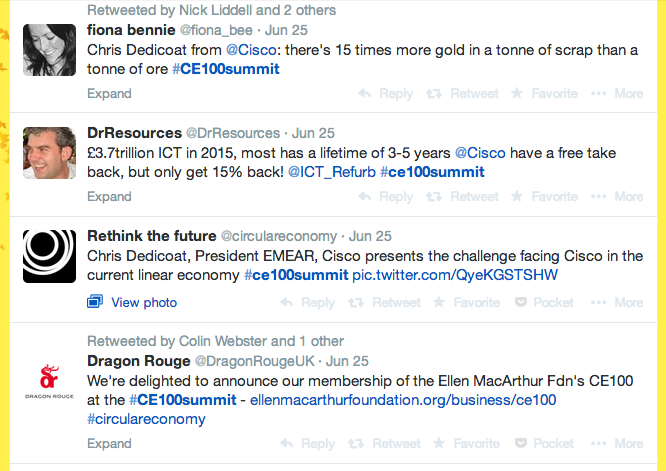 A tiny selection of the Tweets flying around during the CE100 Summit. With the presentations of the Fellows’ solutions to the challenge set at the start of the week and the relaxing afternoon spent in Oxford, the second annual Summer School came to a close. Those Fellows who travelled from distant lands have now returned and work will begin in earnest on all of our Circular Economy Innovation Projects. I am well on the way to creating a vision for fast-moving consumer goods in the circular economy, in the hope that sharing provocative, compelling stories about the possibilities of the future can spur the innovation and commitment needed to get us there. The week may be over, but the Fellowship most certainly is not. As with the Fellowship that set off for Mordor in The Lord of the Rings, the road before us is a long one. But it is an incredibly exciting one, supported by people who are committed to turning the idea of a circular economy, an economy that is regenerative by design, into a reality. PS: If you are interested in getting involved in this exciting space, take a look at the video below!